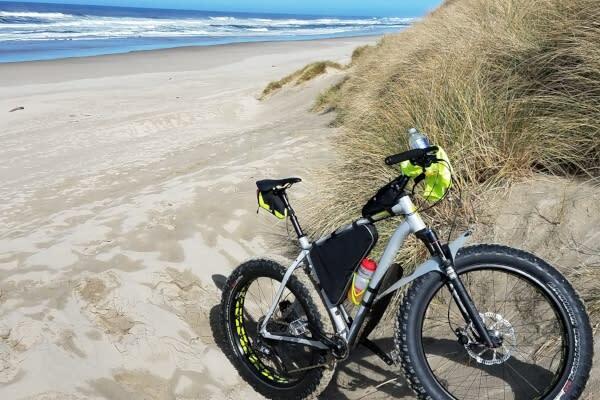 Author and U.S. Forest Service volunteer Dina Pavlis shares some of her best tips for recreation in Oregon&apos;s sand dunes. 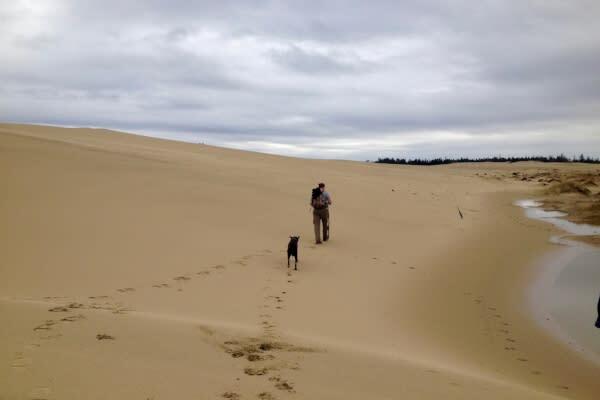 The Oregon Dunes National Recreation Area (ODNRA) offers a wide variety of activities. Home to the largest coastal sand dunes in North America, the area includes hiking trails, ponds, lakes, rivers and beaches. Find solitude via foot or boat, or jump on a sand board, fat bike or OHV for some fast-paced fun. Hunt for tracks in the sand or take a swim in a seasonal pond. Sand toys are perfect for the dunes and “sand discs” (aka snow discs) are great for zooming down large dunes. Zippy sand rail tours at Sandland Adventures or Sand Dunes Frontier will delight family members of all ages. Bring magnifying glasses to examine sand, plants, insects and small bits of sun-bleached bone you sometimes find on the dunes. Sand angels are always popular and so is running up and rolling down large dunes. The Oregon Dunes Day Use Area (12 miles / 19.3 km south of Florence) provides quick and easy access to open sand with a paved walkway to bring you back to the top if you don’t want to climb the soft dunes. Looking for solitude and undisturbed places? The Oregon Dunes Loop Trail south of Florence takes you across the sand past beautiful dune formations and seasonal (winter/spring) ponds. Reflections abound on windless days along lakes such as Woahink, Cleawox and Siltcoos. Take in far-reaching panoramic views from the top of the tallest dunes (200 - 500 ft / 61 - 152 m). Look for interesting sculpture-like formations (called “yardangs”) when strong winter storms pummel the sand with wind and rain. In spring, the dunes come to life with colorful and interesting native plants. 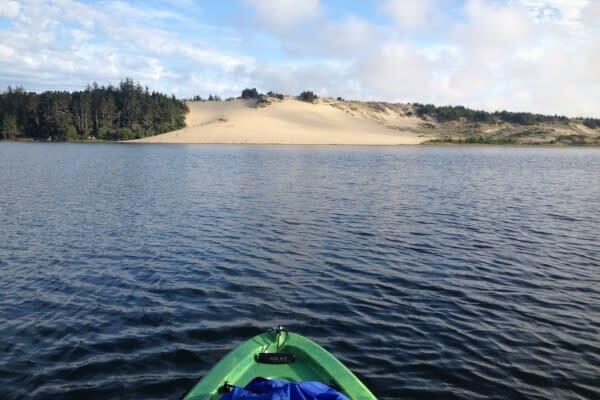 The Oregon dunes provide some of the best lakes for paddling, boating and fishing. Most lakes were formed when shifting sand blocked rivers, causing mountain valleys to flood. This created large lakes with many arms and inlets to explore. Favorite paddles are Munsel, Woahink, Cleawox (up the arm) and Siltcoos. If paddling in summer, go early to avoid strong summer wind. Check out Siltcoos River Kayak Rentals if you need a kayak and don’t want to haul it. The Oregon Dunes Day Use Area is a prime location. Wide-open space and tall dunes add to the pleasure of your adventure. Head off trail (it’s allowed once you are out on open sand) and find a place all your own. Pedal-assist is a helpful feature for fat bikes on soft sand. Bikers should use caution and low speed on trails leading to open sand since hikers with dogs may appear around any bend. 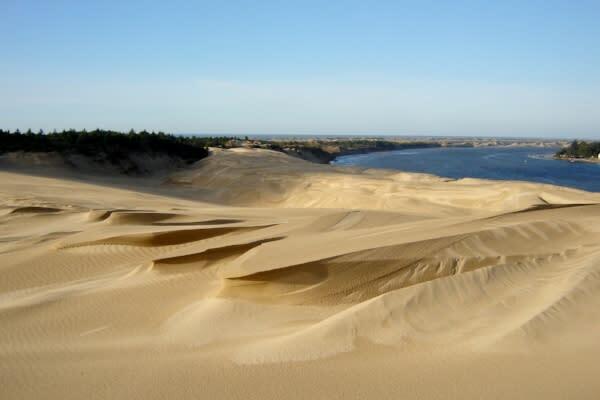 Sand board rentals exist both north and south of the Siuslaw River. Learn to sandboard at the world’s first sand board park, Sand Master Park, in Florence. There are many places to go if you enjoy taking in the dunes at a faster pace (almost half of the ODNRA is designated “OHV”). Favorite places are South Jetty Dunes and Siltcoos Recreation Area near Florence. Visit the U.S. Forest Service website for locations and requirements. 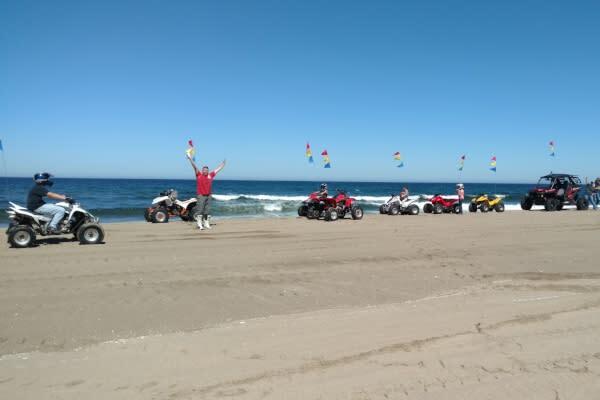 There are also several places that offer dune buggy tours. 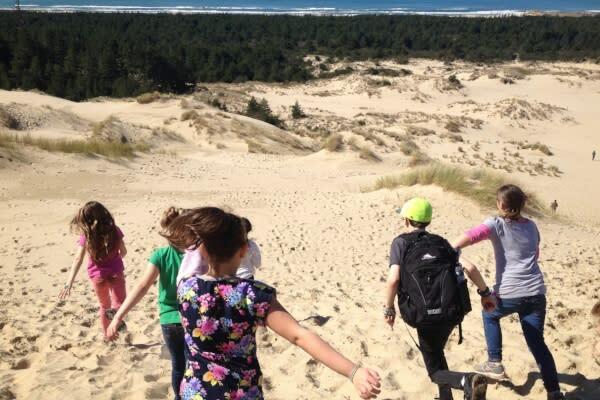 The Oregon dunes provide unlimited fun and adventure regardless of your age or interests. Come for a day or check into a campground or hotel so you have time to savor your experience. Cap off the day in Historic Old Town Florence with a tasty dinner or drinks. Relax beside the gently flowing Siuslaw River and reminisce about your day as the setting sun paints the horizon. Dina Pavlis is the author of “Secrets of the Oregon Dunes.” She is a U.S. Forest Service volunteer at the Oregon Dunes National Recreation Area, member of the Oregon Dunes Restoration Collaborative, and exceptional steward of the dunes. As a volunteer, Dina assists with school programs on the dunes and provides dune-related guided hikes, presentations and new ranger training. Dina has hiked and kayaked within the Oregon dunes for over 20 years and has lived on the Oregon Coast for 15 years with her husband, Dan.